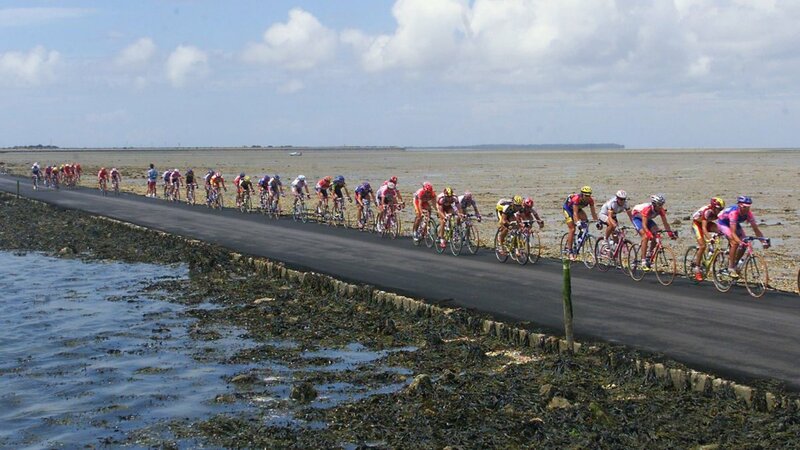 In 2011 we were lucky to watch the Tour De France pass close to L’Oceano d’Or and 2018 sees the return of the Tour De France to the Vendee. 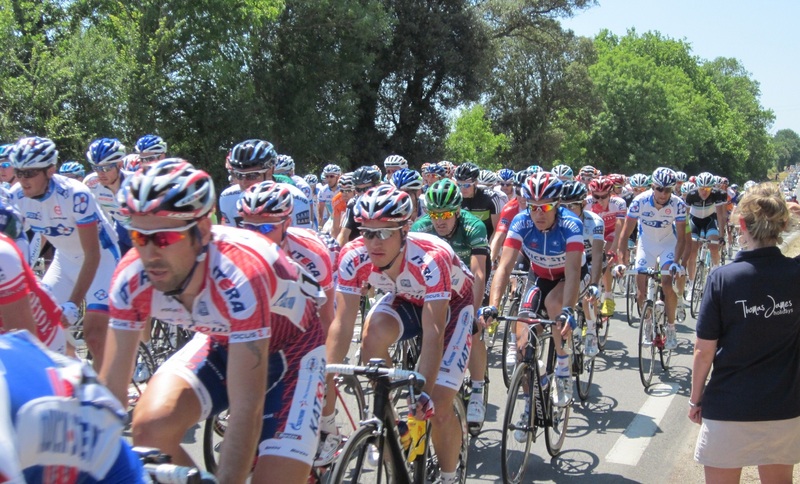 The 105th edition of the tour is going directly past the front of the campsite and on Saturday 7th July, 2018 anyone on holiday on L’Oceano d’Or will be treated to front row seats! 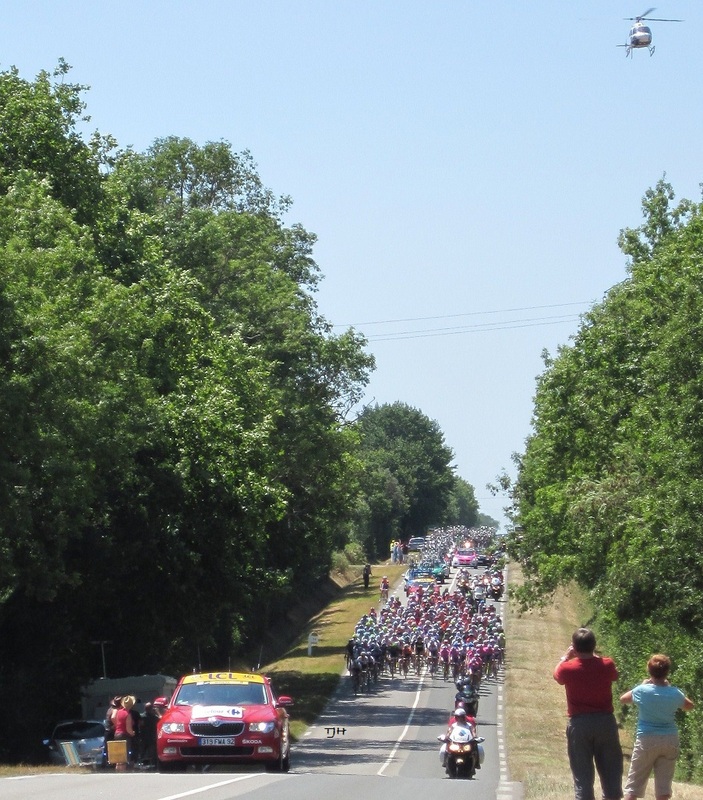 The Vendee is holding the first 2 of the 21 different stages covering over 3329 km. There will be 176 riders taking part (22 teams with 8 riders in each) and the winner will take home €500000. 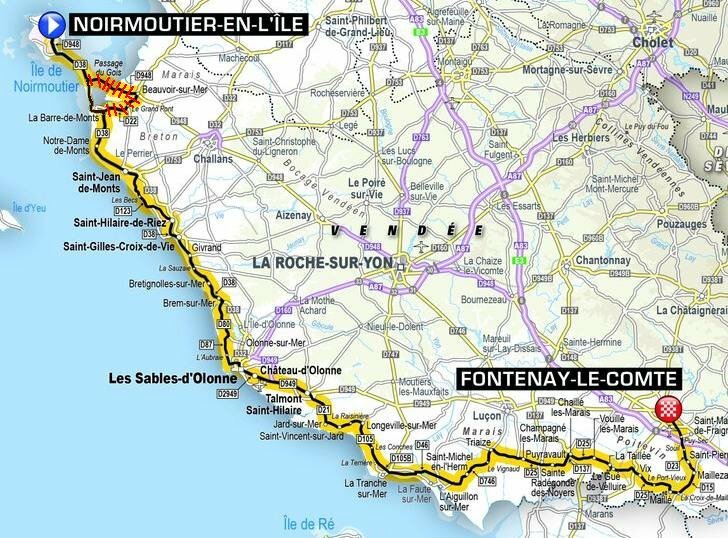 The 1st stage starts on the Island of Normoutier, passes through St Gilles Croix de Vie, Les Sables d’Olonne, Talmont St Hilaire and Jard Sur Mer before ending at Fontenay Le Comte.